Whether you know him as Alfred the butler or cheeky Charlie from The Italian Job, one thing’s for certain, Michael Caine is an actor held in the highest regard by all across the UK. His career has spanned seven decades, beginning in the 1950s, and Caine has been nominated for a leading film award every decade from the 1960s to 2000s. Caine is ranked the 9th highest grossing box office star, according to IMDb and as of February 2017, Caine’s films are said to have grossed over $3.5 billion domestically and over $7.8 billion worldwide. Have you even seen The Ipcress File? It’s the coolest spy movie ever. Proper old school. 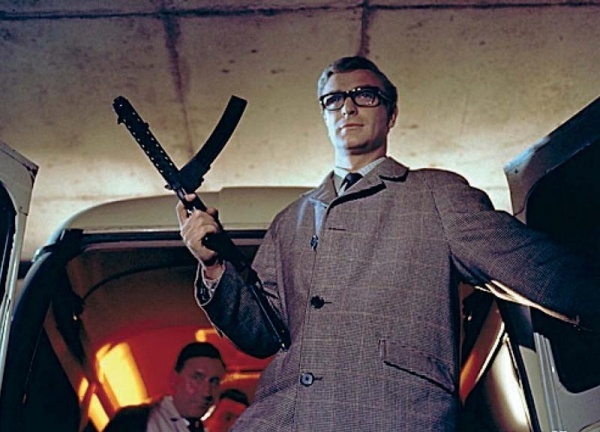 If you think James Bond is the man, then Caine’s take on MI-6 related shenanigans is the absolute daddy. In recent years, Caine has appeared in a number of acclaimed blockbusters – and became a particular favourite of director, Christopher Nolan. With all this information it should come as no surprise to anyone, the beloved actor, now at 85-years-old, is getting on in life quite a bit. I’ve always said that you don’t retire from movies, movies retire you. They haven’t retired me just yet. I feel it’s coming. I’m 85 this week and getting up at 6.30am and learning six pages of dialogue… well, it’s not my idea of paradise. Speaking of paradise, that’s where he’s been spotted by paparazzi taking a stroll on Thursday, April 5. He’s taking things easy after celebrating his 85th birthday in March in a wheelchair. Michael slipped and broke his ankle in his garden during the recent heavy snow. 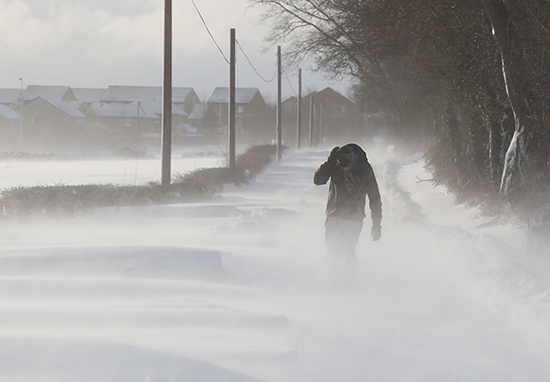 In March we reported a devastating 49 people died as a result of the treacherous weather conditions brought about by Storm Emma. Coming back to Caine, I’m just going to say, as a 30-something working in an office with people at least 10 years younger than me, I take no pleasure in writing this age-based celebrity tittle tattle. There, I said it. Michael was out and about in the sun with his model wife Shakira (no, not that one), and looked in good spirits despite his recent injury. Now out of the wheelchair and using a walking frame for assistance, Caine was papped crossing the Caribbean sands to get to a sun lounger. Open apology: Sir Michael, really, if you’re reading this, please don’t hate me. While the Daily Mail write: ‘The Get Carter star hid his large leg cast with loose-fitting black joggers’, I’m just gonna put this down as ‘Man on holiday wears trousers’. We hope Michael gets back to good health soon, as he has three projects on the go, including The King Of Thieves based on the £200 million Hatton Garden heist of 2015.